A unique cultural approach of the natural environment at the airport of Athens Athens Digital Arts Festivalon the occasion of its 10th anniversary hosted a unique multimedia and contemporary exhibition at the Athens International Airport. 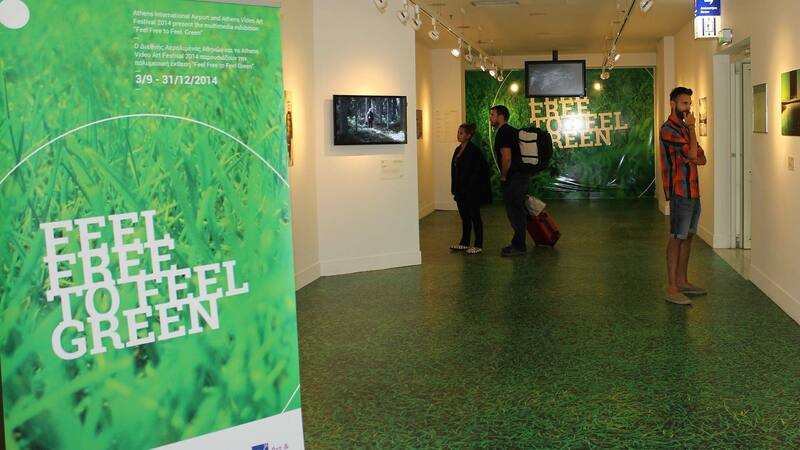 The exhibition, entitled “Feel Free to Feel Green” aimed to raise environmental awareness and took place until January 5 at the “Art & Environment” exhibition area of the Athens International Airport. Conveying the feeling of natural scenery in the interior space of the airport, Greek and international artists presented projects of Video Art, Animation, Installations and Digital Image aiming to debate the relationship between people and the environment as well as the place of technology in it, revealing at the same time stories of the travelers and visitors of the Athens International Airport. Wishing to shift the attention of the audience towards contemporary environmental ethics, “Feel Free to Feel Green” was presented in the Art & Environment exhibition area – at the departure level of the airport and was open to the public 24 hours a day.